When it comes to playing guitar, you want to make sure you know the best type of amplifier to use for playing rock guitar. 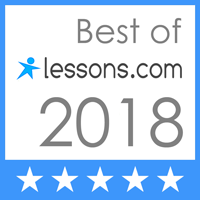 Knowing which amplifier is best when playing electric guitar is vitally important because, without the right one, you won’t be able to get the tone that works with that style of music. In this case. rock music. What is the best type of amp to use? Now since rock & roll’s inception back in the 50’s with Chuck Berry and Elvis Presley (and many others for that matter) guitar players have been searching for the proper guitar amplifier. 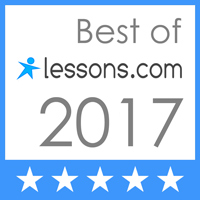 The one that has been most popular for years is the Fender amplifier. 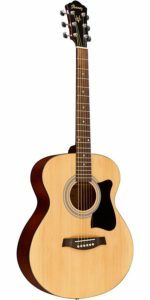 Leo Fender saw there was a demand for a better amplifier for the new revolutionary electric guitar that was getting popular at the time. He could see that guitar players were having trouble getting a good tone. So he designed amps that worked great for the electric guitar. And after all these decades later, is still an amp favorite today of many great guitar players. 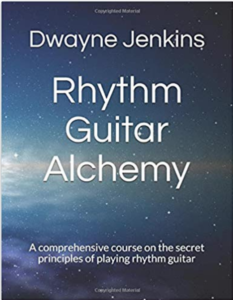 But as guitar playing progressed and rock & roll music developed into more of an expressive art form, guitar players who were learning how to play guitar wanted something with more of an edge. People like Pete Townsend of The Who, Jimi Hendrix and Eric Clapton of Cream. Jim Marshall was a drummer, teacher, and store owner who sold drum equipment to his drum students. Ever once in a while, they would bring their guitar playing friends in with them and they asked “why he didn’t sell guitar stuff” well, he saw the demand and started doing that as well. By selling guitars and guitar related products he knew he could help guitar players get better also. Then in 1962, he noticed a request for something with more of an edge. Something that would give that overblown sound of a radio that distorts when you turn it up too loud. So, Jim got a group together and set out to design the first rock amplifier. His amplifier was a hit! More and more people liked his style and sound that he came up with that it became the go-to amp for rock guitar players. It had that sound that they were looking for. That sound with an edge. Throughout the generations, guitar players all over the globe have plugged into a Marshall. Some of them won’t use anything else. That’s how awesome it is. 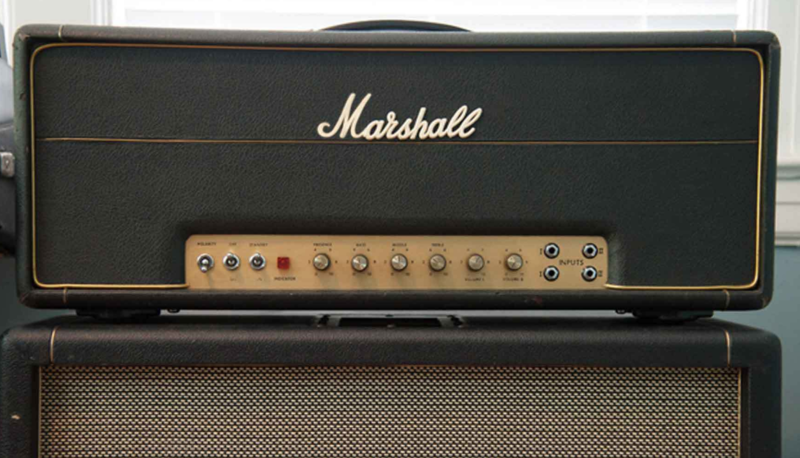 Over the next four generations, Marshall amplification dominated the rock & roll landscape. Creating all kinds of different models for different applications. Or possibly something a bit smaller for playing in the bedroom like a combo amp. 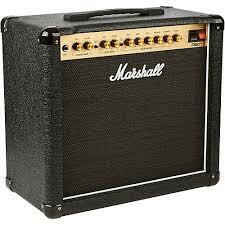 I remember when I was younger playing in bands, you were taken seriously if you had a Marshall. Anything else was considered inferior. And when it comes to playing rock guitar today. I think that still stands. Of course back then you’d have to get a second job to afford such a Cadillac of guitar amplifiers, but when you actually got one and saw why so many great guitar players chose it all the hard work was well worthit. 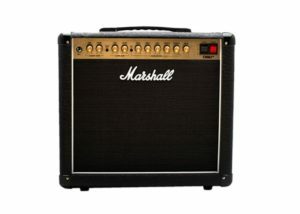 Since Marshall amps were so popular with rock guitar players it helped to propel rock guitar playing forward. 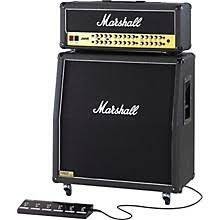 Over the decades Marshall Amplification has defined the sound of classic rock and if you have a favorite classic rock song (anything from the late 60’s to the mid 90’s) it’s very possible it was recorded using a Marshall! 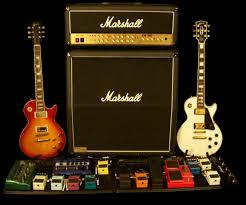 In fact, it has been said that a Gibson plugged into a Marshall is the sound of rock! If you look at most rock guitar players n the 70’s they were most likely playing a Gibson plugged into a Marshall. Personally, I like Ibanez. I think Ibanez is more the modern style of rock guitar. Of course, it wasn’t dominating the market like Gibson was back in the 70’s but either are both great guitars to plug into a Marshall. And let’s not forget to mention Fender. 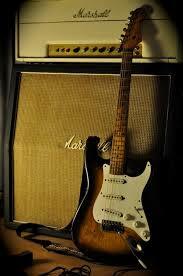 The Fender Stratocaster is an iconic guitar plugged into a Marshall. 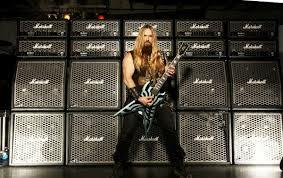 So as you can see, Marshall amps have been played over the years by all the masters of rock guitar. 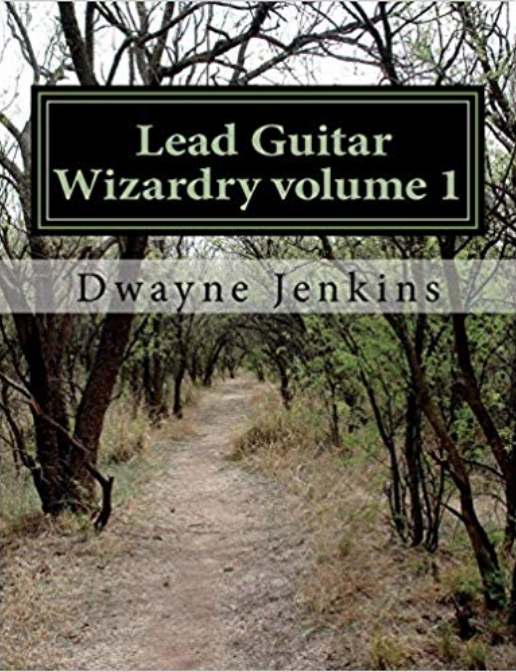 People like Jimi Hendrix, Eric Clapton, Angus Young, Jimmy Page, Ace Frehley, Eddie Van Halen, Slash, Pete Townsend, Randy Rhoads, Joe Satriani, Yngwie Malmsteen, and Zack Wylde. And that’s, just to name just a few. So when it comes to getting a good solid rock amp. which one are you going to get? That’s right, a Marshall!! And as always if you have any questions about purchasing one just reach out and contact me. I’m always here to help. Good luck finding your rock amp. 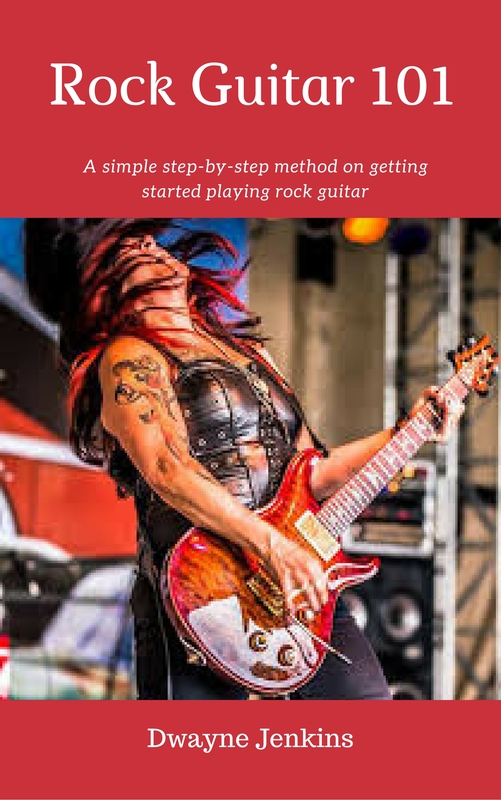 Be sure to join my guitar club for great insider tips and training to help get your playing to the next level.